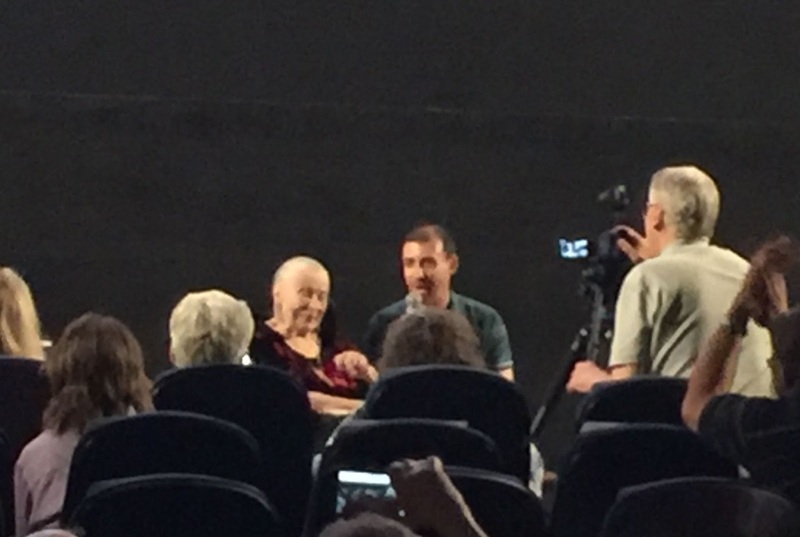 One of my favorite experiences at the recent Cinecon Classic Film Festival in Hollywood was the "Saturday Nitrate Fever" program. The evening made great use of the Eygptian Theatre's nitrate projection booth, which began screening films for the public last November. First up was an admittedly scratchy print of the Bugs Bunny cartoon HARE RIBBIN' (1944), but even with the flaws, I appreciated the bright nitrate Technicolor in a crazier-than-usual Bugs cartoon. 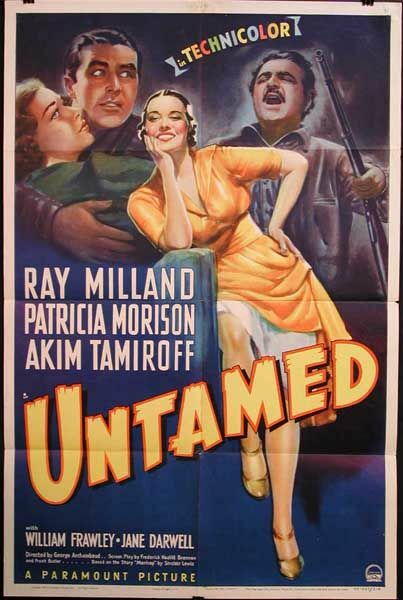 The feature film of the evening was the rarely screened Paramount Pictures film UNTAMED (1940). The audience was told that finding a good-quality nitrate print to screen was a challenge, with many titles scratched off the wish list due to flaws or the inability to safely run the prints through the projector due to shrinkage or other issues. 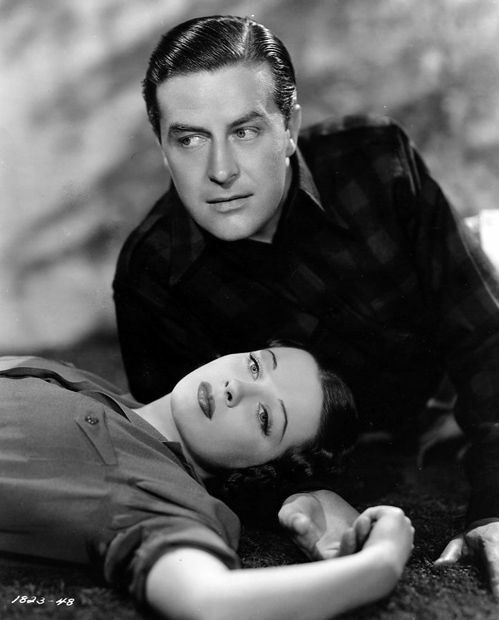 I couldn't have been more pleased that they found a great print to screen in UNTAMED, with favorites Ray Milland and Patricia Morison heading a fine cast. Soap opera meets the great outdoors in UNTAMED, which was based on a novel by Sinclair Lewis. Milland plays Dr. William Crawford, a big city, high society doctor who is diagnosed as having a bad case of the nerves (not to mention too much alcohol). He's prescribed a long rest in the fresh air, and he and his friend Les (William Frawley) head for the wilds of Canada to get away from it all. Bill and Les enjoy time camping on the trail with their guide Joe (Akim Tamiroff), but when Bill breaks his leg he's transported to Joe's home in a small mountain community, with scenic Cedar Lake in Big Bear Valley standing in for Canada. There Bill meets Joe's beautiful wife Alvy (Morison), who was one of several "wounded birds" the kindly Joe had rescued and made part of his home; widowed Maggie (Jane Darwell), her son Mickey (Darryl Hickman), and blind Smokey (Clem Bevans) complete the household. UNTAMED was an engaging, entertaining film; it might not be a classic but it's the type of solid, well-made film the "studio system" turned out on a regular basis. The lead actors are all wonderful, and once again a Patricia Morison film made me wish she'd had a much longer screen career! She's such a striking screen presence, with her beautiful eyes and unusually long dark hair. The film's rich Technicolor was beautiful to look at, especially the summer scenes next to the lake. In an interview after the film (seen at right) Morison recalled that the film's blizzard scenes were filmed in a Los Angeles area ice house, and the actors were genuinely cold! She also mentioned her liking for Ray Milland, mentioning that her mother was from the UK so she had that background in common with the Welsh Milland. In addition to the actors named above, the cast includes Esther Dale, Fay Helm, J.M. Kerrigan, Eily Malyon, J. Farrell MacDonald, Roscoe Ates, Charles Waldron, Iron Eyes Cody, Byron Foulger, Dorothy Adams, and Ann Doran. You can't ask for a finer group of character players than that! UNTAMED was directed by George Archainbaud and filmed by Leo Tover. The screenwriters of this 83-minute film were Frederick Hazlitt Brennan and Frank Butler. UNTAMED is not available in any format. Hopefully at some point Universal, which owns the rights, will release it in the Universal Vault DVD series, but given Universal's slowness at releasing '30s and '40s Paramount titles, it could be a very long wait. I am 40 shades of green with envy that I could not be there. I'll be hoping to see this one day. We must content ourselves that if Ms. Morison had had a longer film career, she may not have become a Broadway legend. John, sure wish you could have been there!! Very interesting info regarding the Paramount releases in Europe. It's beyond frustrating having so many Paramounts hard to see in the U.S. -- which includes many of Milland's films. He made a great many enjoyable films.